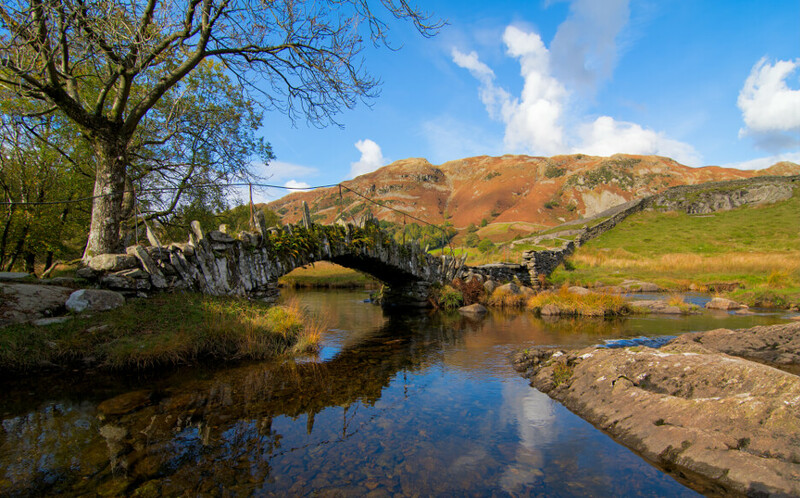 October half term is a great time to visit the Lake District. That’s not to say that Summer, Winter and Spring, don’t all have their good points, but there is something extra special about Autumn in the Lakes. Read on for our list of 10 reasons to visit the Lakes over October half term. Borrowdale is the most wooded valley in the Lake District, so by the time Autumn comes around its views and colours are extra special. The October half term is a perfect time to see it at its best, as oaks, birch, holly, hazel, alder and yews combine to create an amazing palette of autumn colours, leaves still clinging to the trees. There are a number of great vantage points from which to appreciate this spectacle. 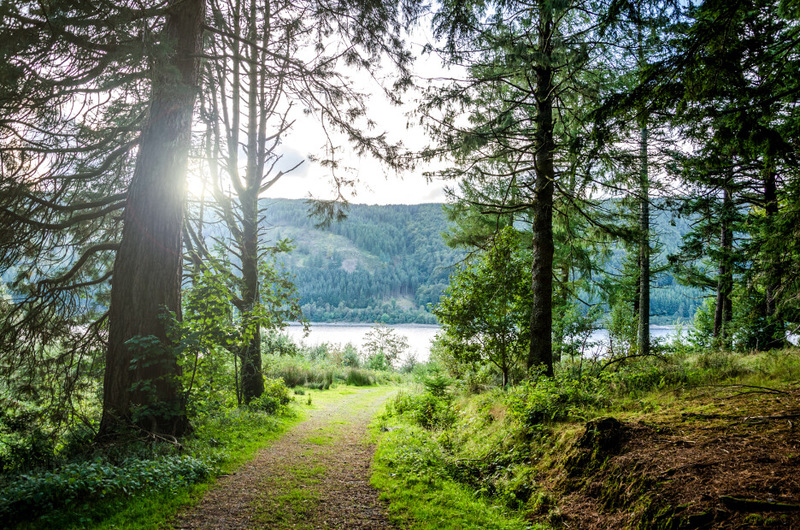 Head up to Castle Crag, or take a stroll along an easy 8 mile loop of the valley following the River Derwent – this will take you through the forest itself, then onto an elevated path above the valley. Alternatively, walk through Great Wood then climb to Walla Crag for another great view from above. 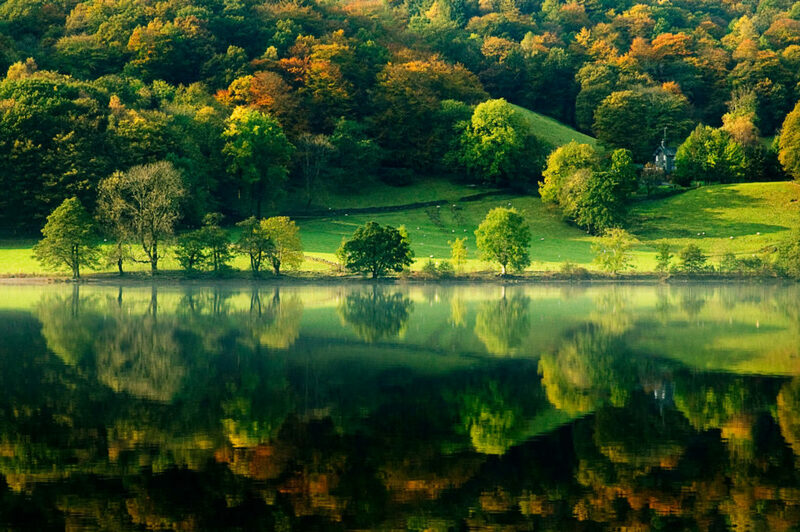 Grasmere is one of the gems of the Lake District at any time of the year. Visiting Grasmere is a great thing to do in October Half term, when the area is a lot calmer than in the busier seasons. The surrounding peaks really come alive in Autumn, with the wealth of colour reflected off the waters of Grasmere and Rydal Water. 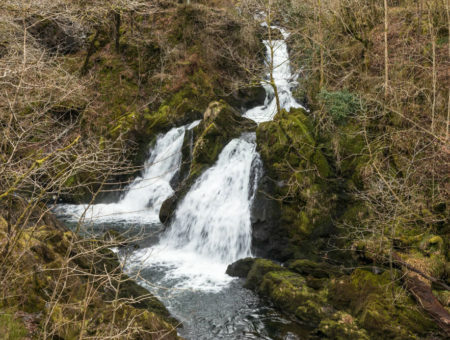 Alternatively, head to Allan Bank for a lovely woodland walk, with the chance of seeing plenty of wildlife – deer, otters and red squirrels have all been spotted by National Trust rangers. The Allan Bank house owned by the National Trust – once home to William Wordsworth – is well worth a visit, too. Grasmere is a great place for walking with your four-legged friend, as dogs will love the range of new sights and smells. Browse our selection of dog-friendly properties in the Lake District. 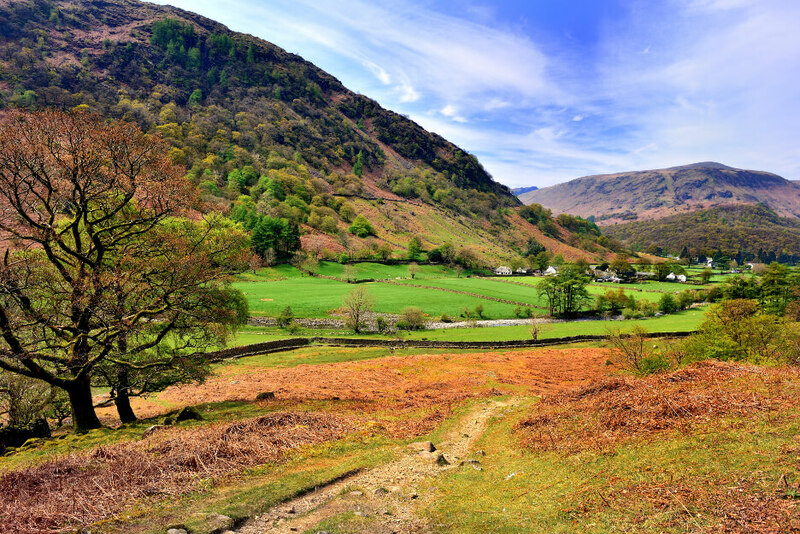 Head to Langdale this October half term for classic Lake District views. Stunning fells and summits, dry stone walls and old cottages, and lots of Herdwick sheep all offer striking contrasts to the blaze of orange that the densely packed trees become in Autumn. For spectacular views of the valley, head up towards Blea Tarn and Side Pike. Side Pike is to the North-East of the Tarn, and while it is not a simple ascent, the summit offers brilliant elevated views of the valley below. You could also simply take a stroll across the valley floor, through fields and over bridges, and marvel at Autumn colours that surround you. Langdale is one of the region’s most popular locations, but there should be fewer people in the October half term than during peak times, allowing you to avoid the crowds. Like many other popular Lake District destinations, Buttermere is another place that really comes into its own when Autumn sets in. 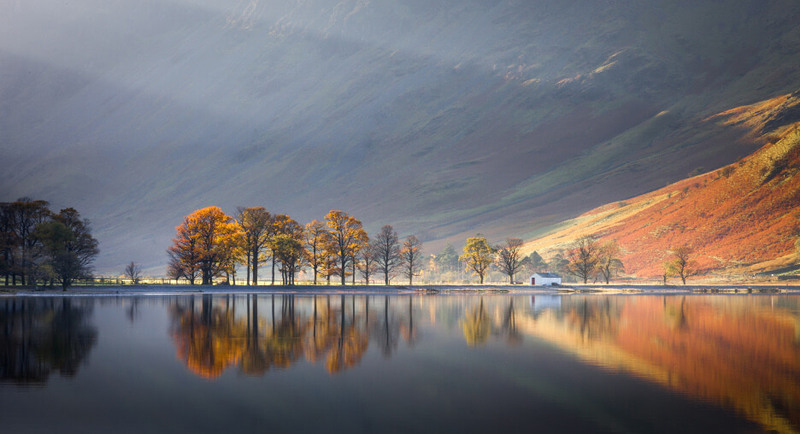 As Buttermere is one of the smaller lakes in the region, the water is often calm and still, meaning the full spectrum of autumn colours are reflected in the lake. This is an easy walk for families, with easy access for pushchairs. A walk around Buttermere should only take a couple of hours, linger a while, take a picnic, brave a paddle, skim stones and soak it in. Browse our range of family-friendly properties in the Lake District. 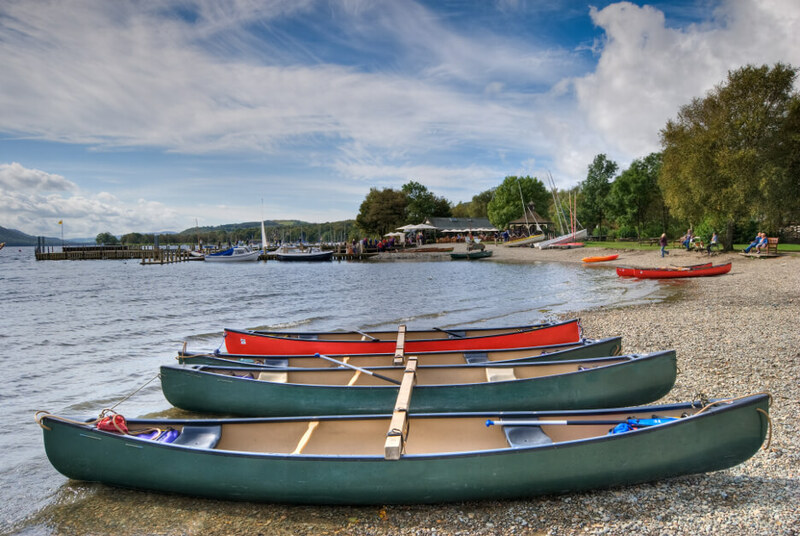 Finally, make sure to visit Coniston Water this October half term. Mid to late October is perhaps the perfect time to visit the lake, as there are some incredible displays of Autumn colour in every direction. This means that the best place to view them is from on the water itself. You can hire a boat from Coniston Boating Centre, but for a really atmospheric – and more leisurely – way of traversing the lake, take a trip on the National Trust’s Steam Yacht Gondola. The Gondola runs until October 31 before hibernating for the winter, so the October half term is one of your last chances to catch a ride until summer comes back around. The Lakes International Comic Art Festival comes to Kendal each year for a weekend in October. Celebrating the amazing world of comic artists, creators and writers, it brings the biggest names in comic art to the Lake District with over 70 special guests from across the comic world. This traditional Shepherd’s Meet dates back over 100 years. Unlike most other rural shows, which tend to take place in the summer, the Wasdale Head Show takes place in October. The show committee have endeavoured to maintain the traditions and history of the event, while still offering something for everyone. There will be lots to see, including: hound trails, fell racing, sheep showing, children’s sports, a parade of vintage machinery and so much more. The weekend of 20th-21st October is, depending on your school’s term dates, either the first or the last weekend of the October half term. It is also the date that this year’s Grand Day Out in Cumbria takes place, a weekend of outdoor fun and charity fundraising. There are a number of spooky events taking place in the Lake District in the run up to Halloween – if you’re brave enough. Halloween Ghost Train at the Ravenglass and Eskdale Railway – Running on the final Friday and Saturday of the October half term, where you will travel the line in darkness, with some fiendish figures making an appearance along the way. Lakeland Hauntings Ghost Walks – run throughout the year, they’re running them daily in Keswick in the October half term week, as well as in Cockermouth. Halloween at Muncaster Castle – one of the most haunted castles in Britain. 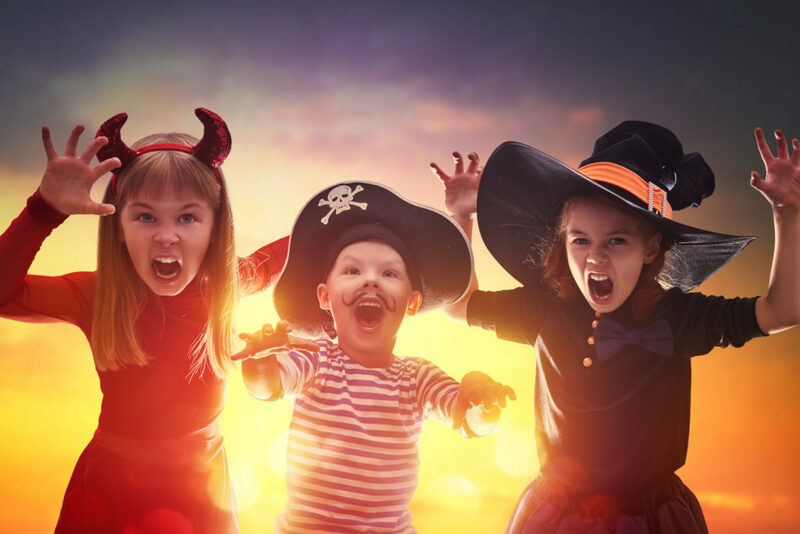 They’re running Halloween events from 23rd-28th October, which will include a Monster Cabaret, Scary Maze, Ghostly Grotto, Scary storytelling and songs, and much more. As we’ve already mentioned, one of the huge benefits of visiting the Lake District in the October half term is avoiding crowds. The peak season of June and August is lovely, but can mean packed car-parks and frequent traffic jams. Visiting just after the summer months means there will be fewer visitors and in some places you’ll get the views all to yourself. One of the other benefits is that lower demand means lower prices. We have some fantastic offers for the October half term, full week holidays or short breaks. Browse our selection of properties in the Lake District that allow short breaks, or take a look at our variety of properties that are available for October Half Term.